The Vancouver Sun released a Metro Vancouver-wide database Friday that reveals campaign donors for mayors and councillors in the 2008 election. While the information has been available online for some time, obtaining it has been a bit of an ad-hoc affair, with each municipality handling the data differently and often publishing it in PDF form instead of a searchable database. Today, we present New Westminster’s campaign donor information to you in an infographic, courtesy of Matthew Laird, who was a candidate in the 2008 election. 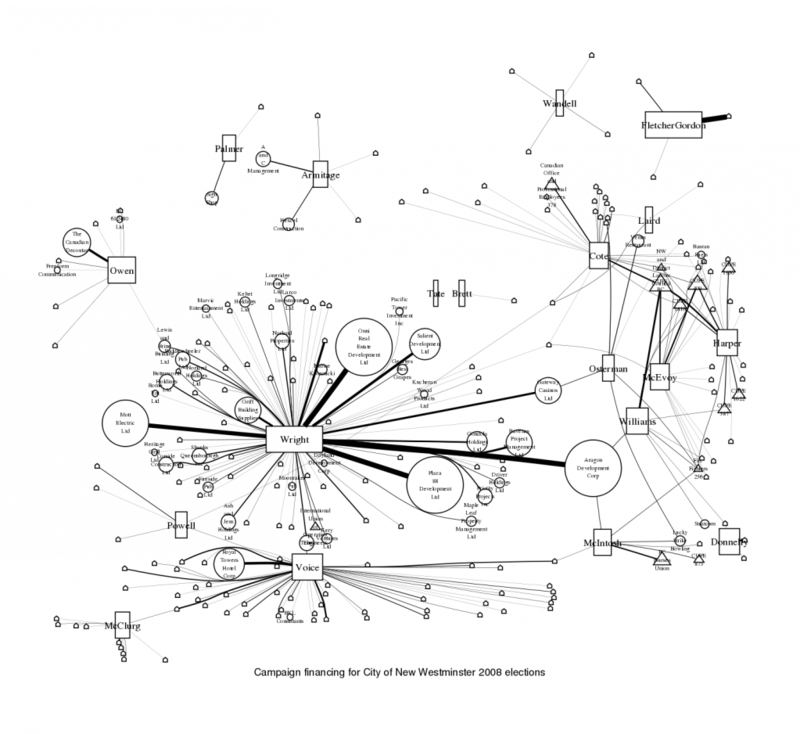 Infographic illustrating New Westminster campaign financing in the 2008 election campaign. House shapes are individual donors, circles are corporate donors, and triangles are union donors. Line thickness indicates donation amount. Due to complexities of how the finances flowed transfers between Voice and Voice candidates are NOT represented, only donations to either Voice or Voice candidates from whomever the donor was. Illustration: Matthew Laird. Click to enlarge. 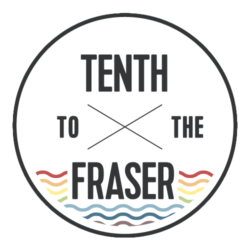 If this sort of thing interests you, you may want to check out Theresa McManus’s March 2009 blog post revealing some of the more unusual expenses and financial relationships that came to light in the 2008 election disclosure documentation. The New Westminster 2008 election campaign financing information is also on the city’s website, organized by candidate. I don't know exactly what that picture is supposed to be other then confusing, kinda like an flow chart or something ? looks space age. with circles and lines to different planets, some square. I checked out Thersa mcmanus thing too, 20 bucks here 60 buxs there, uhm, there was a lot more interesting things I saw on the list then that. How about donating almost 10 grand to your own campaign. Know who did that ? Must have really wanted in the pot.